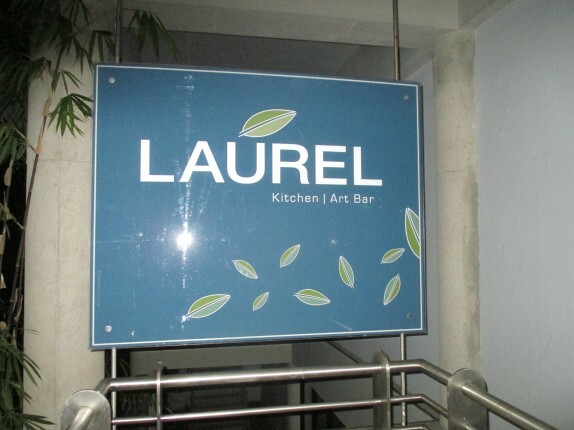 When I asked my friend Sheryl who grew up near San Juan for some dinner recommendations, she cited Laurel Kitchen and Art Bar as a formidable fine dining spot. 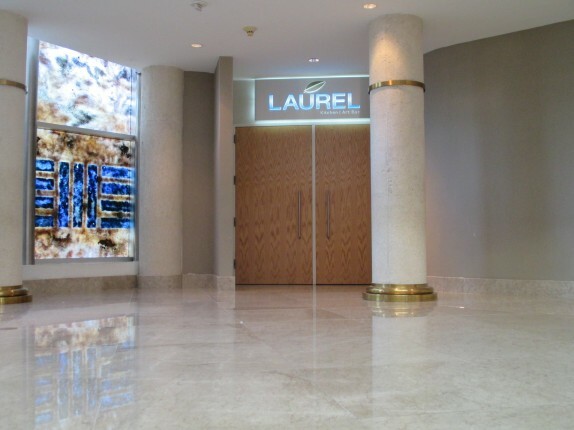 Given that this restaurant is located within the Puerto Rican Museum of Art, I felt like either the food was overreaching and pretentious or that it would be a fun experience. So we made a reservation and checked out the museum for a while that afternoon. 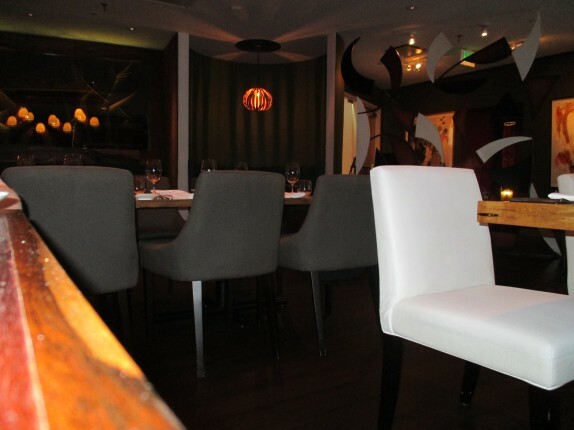 The interior of the restaurant is fairly modern, but warm and inviting. The bar looked like it would be a fun little place to hang out. 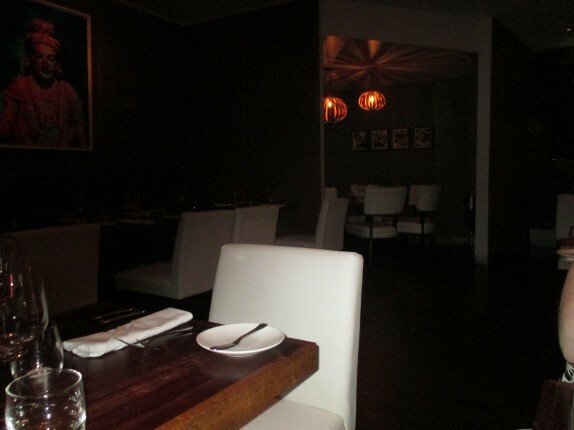 The menu was a decent mix of things, but we needed some time to take everything in before deciding. We put in an order for some small bites while we looked everything over. 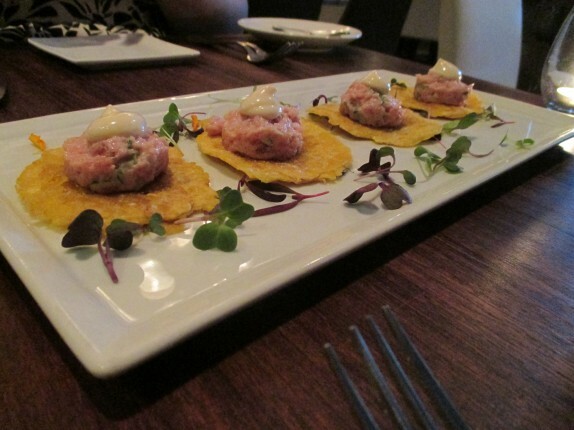 The item we shared was Sesame Tuna Tartare, plantain tostones, Nori sea salt – $12. 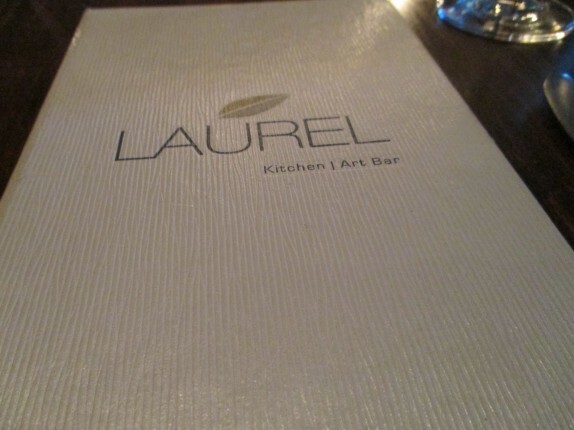 This was a delightful fusion of Asian and Puerto rican cuisine. Their tostones were flattened nicely and fried crisp. 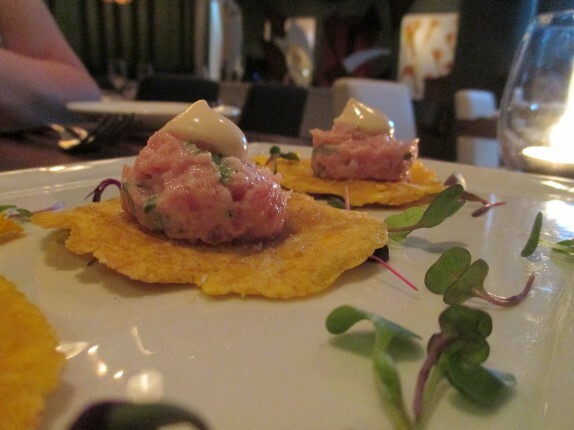 The tuna tartare was spiked with some green onion and a hint of sesame oil, and the dollop of sweet mayonnaise on top was reminiscent of both Puerto Rican mayoketchup (aka Fancy Sauce) and Kewpie mayonnaise. The dish was decorated with micro-greens; it looked pretty and tasted delicious. 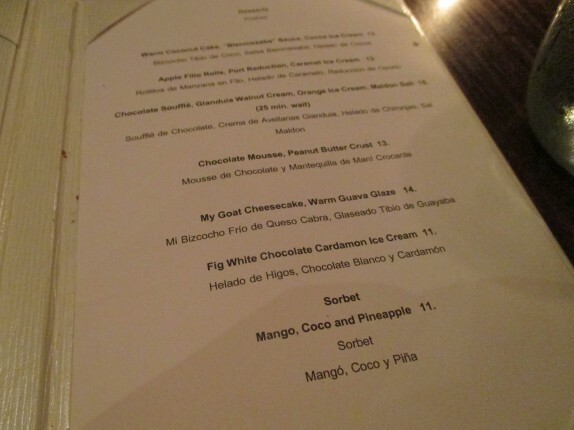 The flavors were very distinct, and each bite was well-rounded. I ordered a salad from the specials menu. 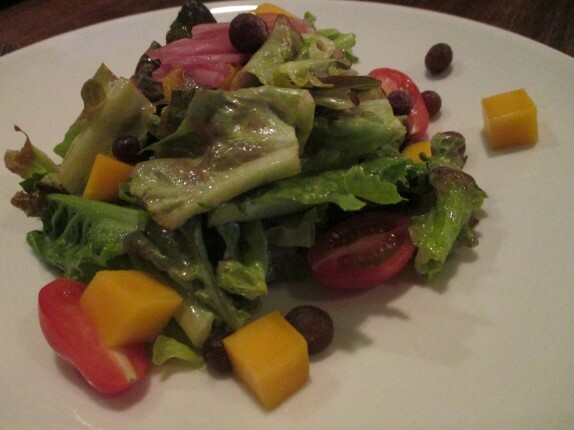 It had greens, papaya and dried fruit as well as a vinaigrette made from tropical fruits. It was balanced and tasty. I had a bit of a difficult time deciding on my main course. 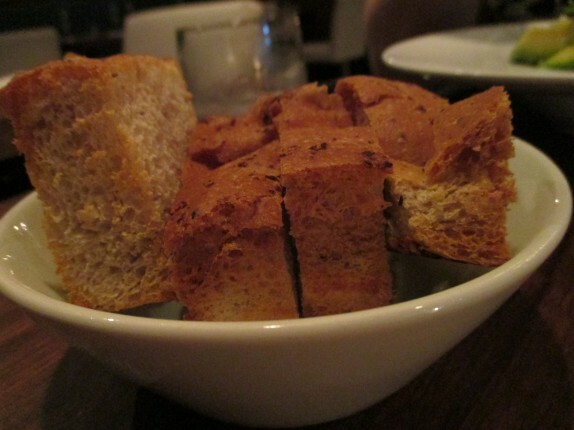 I guess it’s a good thing they gave us some bread (akin to focaccia) to snack on while I decided. 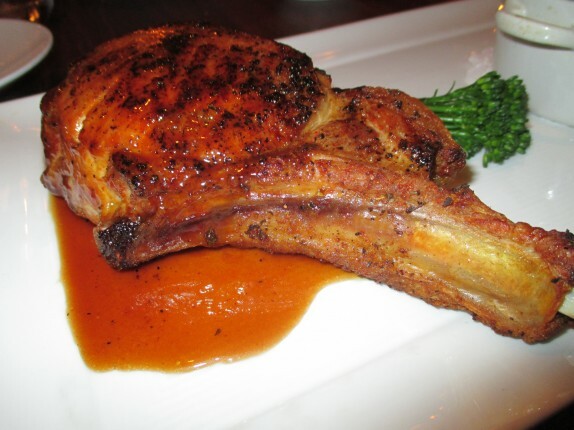 While each of the main courses sounded appealing, I ultimately decided on Adobo Berkshire Pork Chop (Apio Gruyère gratin, tamarind reduction – $32). 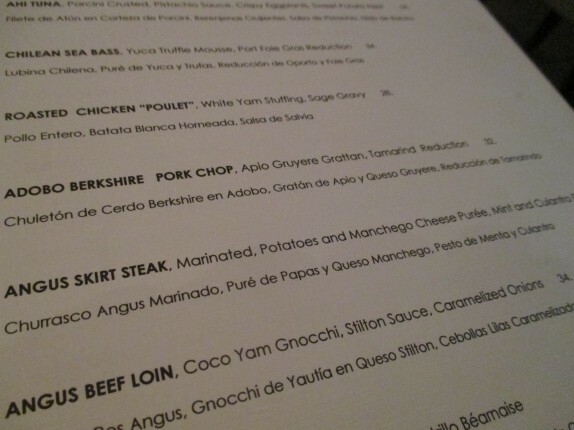 I’ve eaten a lot of pork in Puerto Rico, but I don’t think I’ve ever encountered such a luxurious variety. For this dish, each component did its own thing and didn’t really play together. I think that’s the basis for the plating, where the pork chop is completely separate from the gratin which was in its own bubbling caludron. I allowed that to cool a bit while I focused on the pork. 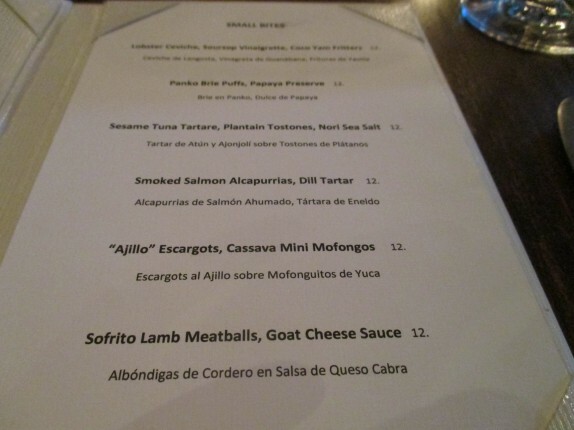 This was probably the first time in Puerto Rico that I didn’t get overcooked pork. It was cooked, seasoned, and sauced beautifully. The chop was so tender and marbled that chewing was almost unnecessary, and the tamarind reduction accented the supple nature of the meat. 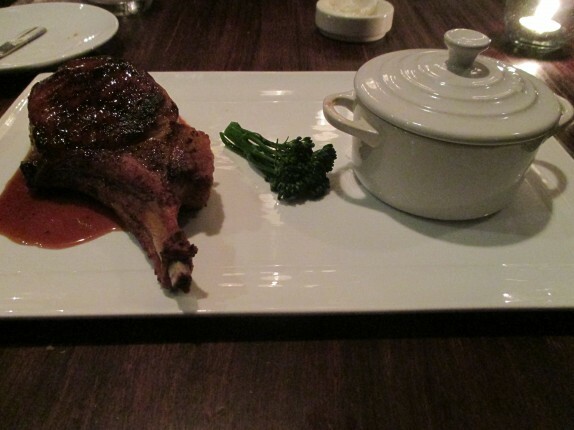 This was easily the best pork chop I have ever eaten. The gratin was very good, albeit under seasoned. Apio is a root vegetable, kind of like a cross between potato and celery root. 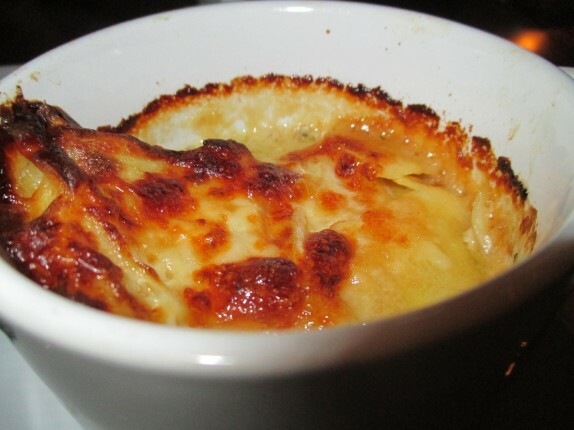 The gruyère cheese created cheesy layers between the thinly sliced vegetable, and the small bit on top was browned. The gratin deflated considerably once I removed the lid and amounted to nothing more than a couple of forkfuls. The steamed broccolini in the middle of the plate was cute but sort of frivolous. It was edible, but didn’t do much to tie the other components together. That said, I think this was a great dish and that it was way more humble and minimalist than I expected the dishes to be. The meal was so enjoyable that dessert was pretty much a given at this point. 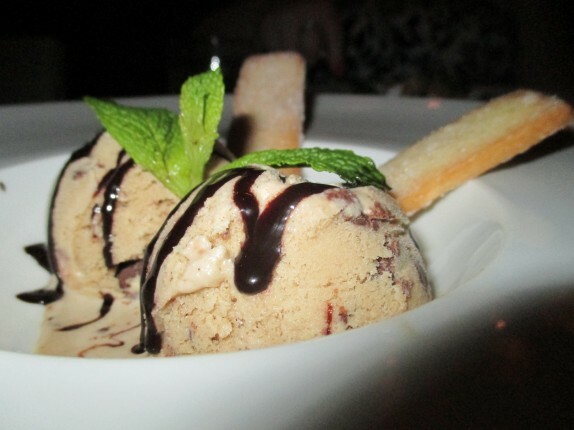 While the regular dessert menu looked amazing, there was a espresso peanut butter ice cream with shortbread that sounded even better at the time. All of the ice creams are made in-house, and it was obvious with one bite of this. The silkiness of the cream was balanced by just a touch of sugar and the bold flavors of peanut butter and coffee. 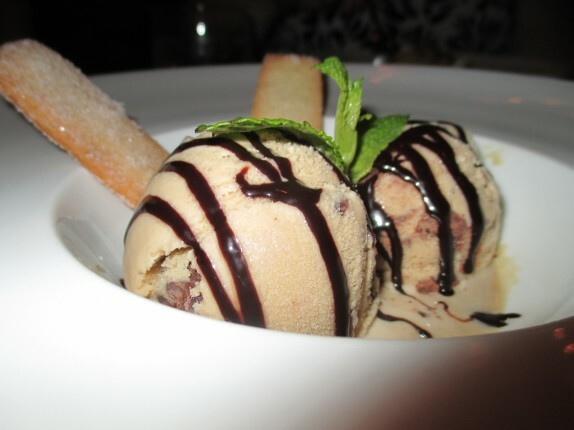 The crispy nibbles of short bread were a great delivery mechanism for the ice cream when the spoon got old. 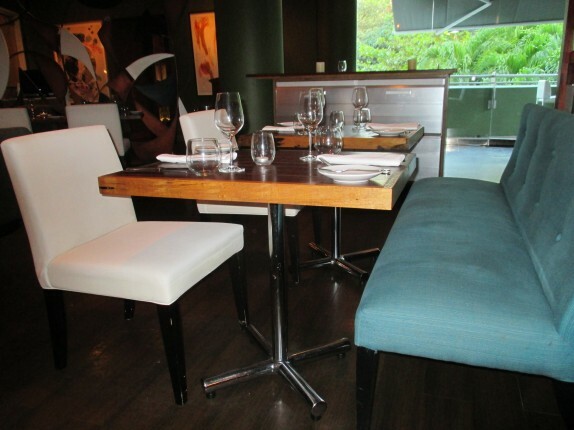 The meal was excellent, and much more accessible and basic than I had expected. Since the menu changes with the seasons, I’d most certainly go back on a future visit.